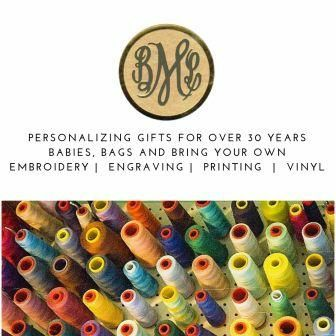 Bayberry Monograms---Personalized Gifts for Every Occasion! We have been personalizing gifts for over 30 years and we LOVE it. We help our customers find the perfect personalized gift for every occasion. New Baby, new House, Engagement, Weddings, Birthdays, Graduation, Baptism or just something fun and unique. There are a lot of options when it comes to personalized gifts but at Bayberry we have personally picked our gift selection from trusted vendors and manufacturers. Have a gift you purchased elsewhere but looking for a personalized touch? We do that too! Browse our online store or come visit us in person at 564 Summer Street, in beautiful Marshfield, MA (only 1.3 miles off of Route 3A). Winter Hours: Monday-Thurssday: 9:30am-4:00pm. We are happy to schedule appointments outside our regular business hours.. To setup an appointment, please give us a call at 781-837- 8430. 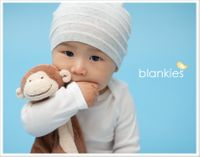 For the Latest News, Sales, and New Gifts, Please Join us on Facebook, Instagram and Pinterest! Benny & Beatrice Overall Bears ---Now available in 3 Sizes! 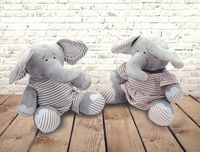 Eleanor and Elliot Elephants---Now available in Two Sizes! Free Gift Wrapping and Gift Message for all gifts shipped directly from Bayberry and select vendors.